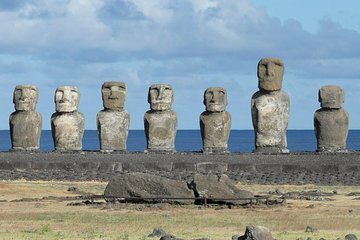 Appreciating Easter Island’s cultural heritage can be tricky on a self-led excursion. Make the most of your time on the island with 2 full-day tours, and discover the island’s iconic moai statues, as well as its picturesque beaches, volcanic landmarks, and a ceremonial village. Forget the guidebook with insights provided by your guide, and enjoy daily round-trip transfer from your hotel for a seamless sightseeing experience.